See the Amazon brought to life in the heart of London’s West End. Perfect for kids and big kids alike, great for groups. 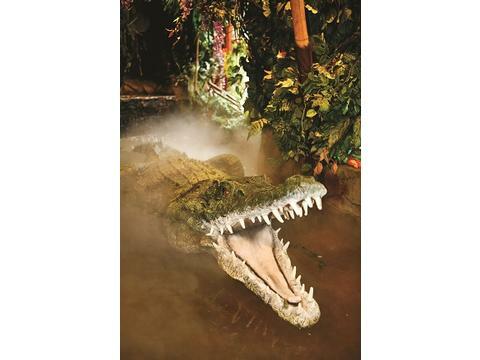 Enjoy good food with great service, animatronics, waterfalls and tropical fish tanks. 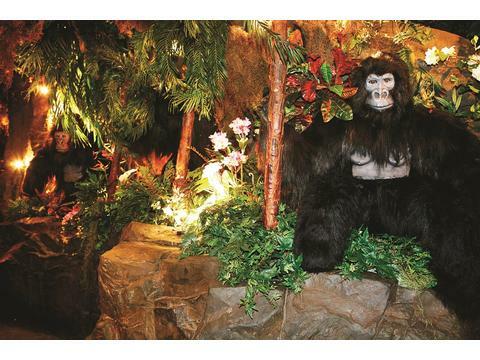 Located in the heart of the West End at Piccadilly Circus, Rainforest Cafe is designed as an exotic jungle that recreates the sights and sounds of the Amazon rainforest. 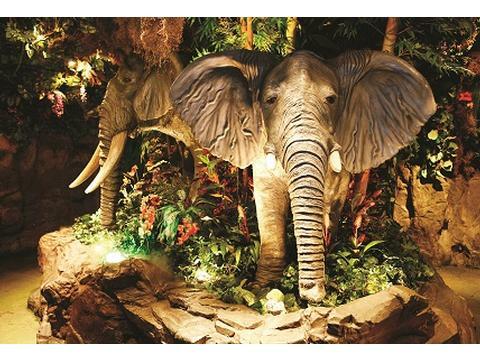 Enjoy great food and drinks in this spectacular restaurant whilst the unique jungle surroundings are brought to life with the help of stunning special effects including thunder and lightning storms, tropical showers and cascading waterfalls, as well as lifelike, animatronic inhabitants including chattering gorillas, a menacing jaguar, snapping crocodile and of course our trumpeting elephants. 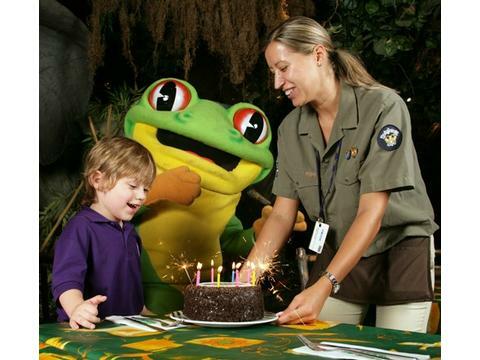 Great for all the family, Rainforest Cafe has an extensive menu of American and International cuisine catering for both Adults and Children. Food on offer includes steaks, burgers, pasta and salads as well as delicious desserts.